How can you support you Seniors? Here are two opportunities that not only benefit them, but you as well! 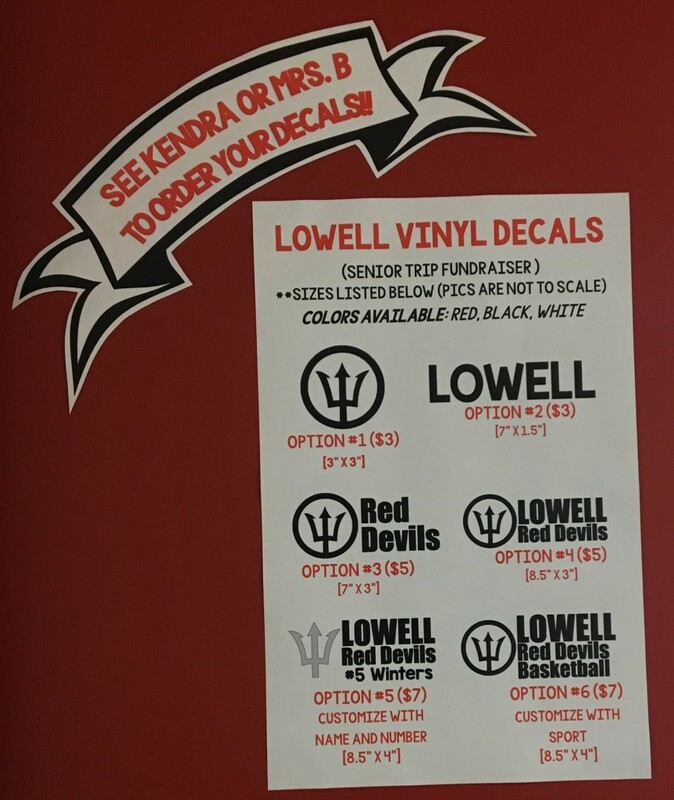 Want a Lowell decal for your vehicle?? Check out these options!! These decals will be ready for pick up on Halloween. If you are interested in one (or a few!) just let me Ms. Beckett know!The are also working on a few other designs that we will add later this week! Specifically a single color or double color “L”. There is also a can and bottle drive held the 1st Saturday of every month! Just drop your cans and bottles off before noon and they will do the rest!